Home / Our Work / Road’s End Contracting Ltd.
David Dare and the Road’sEnd team build high-end, beautiful and unique homes in Victoria and the surrounding area. 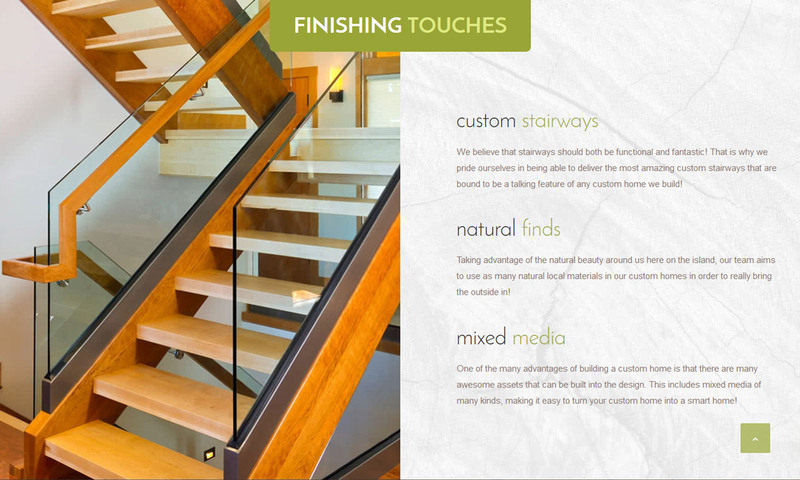 They specialize in the use of natural materials and create bold designs and beautiful spaces. Anyone can build a house; it takes skill, craftsmanship and passion to build a home. The Road’sEnd team came to Caorda looking for a redesign of their website, with the additional goal of improving their Google search rankings and user friendliness. The existing site was largely focused around the home page and it was difficult to navigate to the projects and customer testimonials. 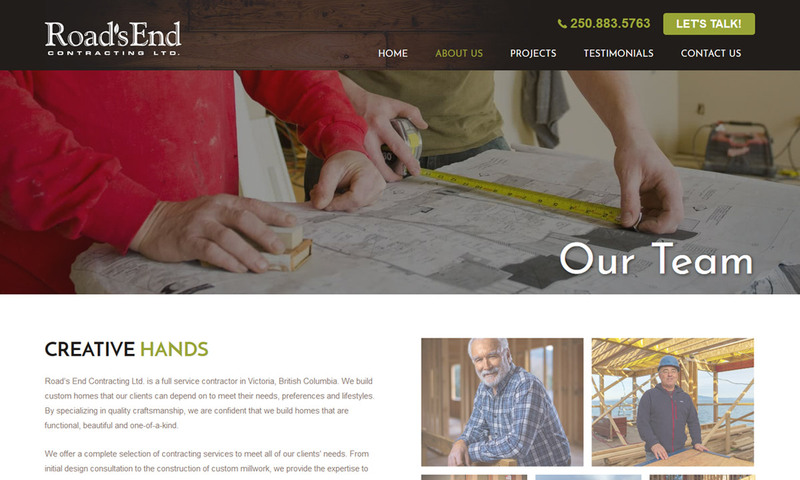 Road’sEnd had recently started working with Citrus Pie, a video production company in Vancouver, to produce high quality videos showcasing the company’s recent builds and was looking for ways to incorporate the new media into the new site. The first step was to meet with the client face-to-face to discuss in-depth what they needed and wanted from the new website. After finalizing the key requirements of the project, the Caorda team went to work! The Caorda design and development teams created a new homepage to incorporate some of the Citrus Pie footage into the banner. Using the drone footage along with the tag line “Masterpieces From the Ground Up”, we were able to create a gripping first impression for site users. Next up, we then worked on building out the Projects page and each of the individual project pages. 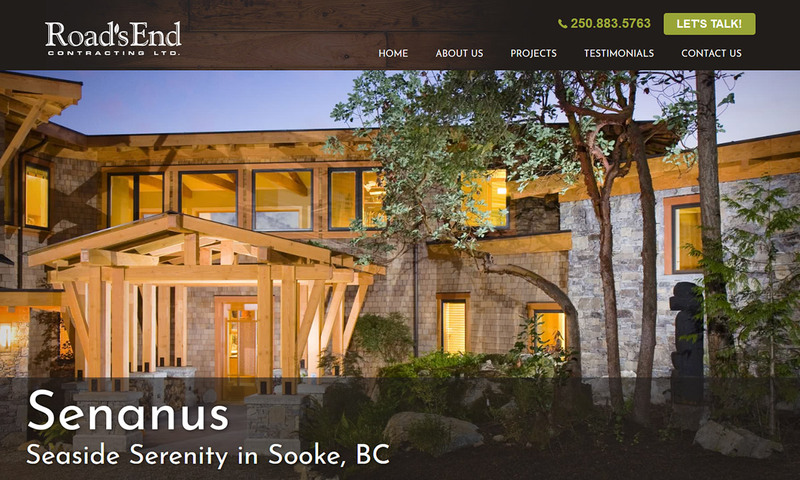 Road’sEnd has collaborated with local photographer Heath Moffatt for many years, and had compiled a stunning amount of high quality media that Caorda was able to use in the design of the new site. 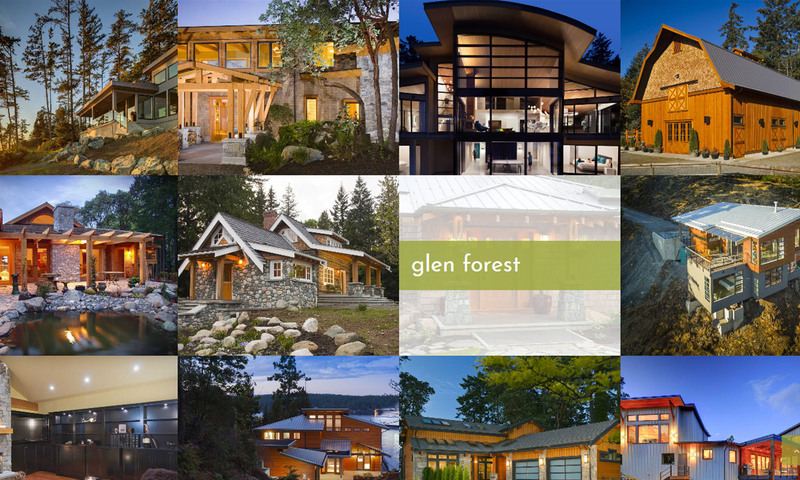 When building the project pages we tried to showcase what was unique and special about each custom home, and offer users an accurate picture of the quality of the company’s work. Finally, we wanted to make it easier to get in touch with David and his team, so we built new Calls to Action throughout the site. We are excited to see what the future holds for Road’sEnd and Caorda’s partnership. We’ve begun a digital marketing campaign designed to increase Road’sEnd’s online presence, with Search Engine Optimization and a Google Search Ads campaign. We look forward to a strong relationship and are excited to be a small part of the amazing work that Road’sEnd does.